How Does Music Relate to Productivity? What is the correlation between music and productivity? If you have experienced either of these scenarios – or others like them – you know that it can be frustrating to lack focus when you need it. Luckily, music is here to help. Music has been proven to assist in productivity and focus. Here’s how. Now, imagine you’re suddenly listening to your favorite song. Notice the unconscious bob of your head, the tap of your foot, the curl of your growing smile? These reactions are due to the fact that music has a positive effect on the human brain. Music can alter people’s mood, making them happier. This is because “listening to melodic sounds helps to stimulate the release of dopamine in the brain, creating a feeling of well-being”, according to FacileThings.com. Dopamine, a hormone released by the brain, provides a sense of pleasure. This hormone, when released, indicates to the mind and body anticipation of an enjoyable experience. Listening to the climatic part of a song is like anticipating how tasty a cake will be. This happiness assists a person’s productivity by making repetitive tasks more enjoyable. 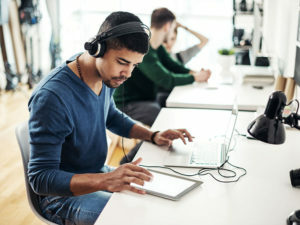 Over the years, several research studies have found a correlation between specific types of music and productivity in workers. This is especially true with the completion of monotonous activities. In a study completed and published in Applied Ergonomics in 1972, researchers revealed that individuals doing repetitive tasks were more efficient when background music was played. And several other studies support this same correlation. A more recent study from 2015 in The Journal of the Acoustical Society of America further supports this theory. Researchers supporting this study find that ambient noise assists in productivity as well as the positive mood of workers. Beyond just boosting productivity, listening to music while working further boosts creativity and innovation. For times when you have to heavily concentrate on what you’re doing, ambient, ‘natural’ sounds are better. Thus, music without lyrics are most useful during this time. Depending on the task at hand, a person can easily be distracted by lyrics. Lyrics can provide a sense of background chatter, known as intelligible talking, or dialogue that can be heard and understood. In a particular study, 48% of participants listed intelligible talking as the sound which distracted them the most. So it is understandable that the top 100 pop songs of the year may not be the most conducive for your work. Some of the activities where lyrical music can be the most disruptive include: writing essays, composing emails, and other language-intensive activities. On the other hand, in cases of low-immersion tasks, or physical activities (such as working out, cooking, cleaning, etc. ), lyrics can provide an excellent benefit. Lyrics can assist your mind by providing a positive distraction from something that can be physically draining or monotonous. 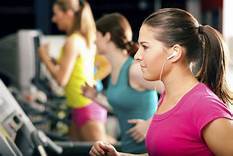 In fact, listening to music can improve your workout! Part of this is because music makes your workout more enjoyable and tricks your brain into thinking that you are exerting less effort than you are. Once again, there is a primary focus on the fact that music positively effects your brain. Moreover, in cases where you need to concentrate but you would prefer to listen to music with lyrics, familiarity is key. If you know the lyrics well, they become less distracting. 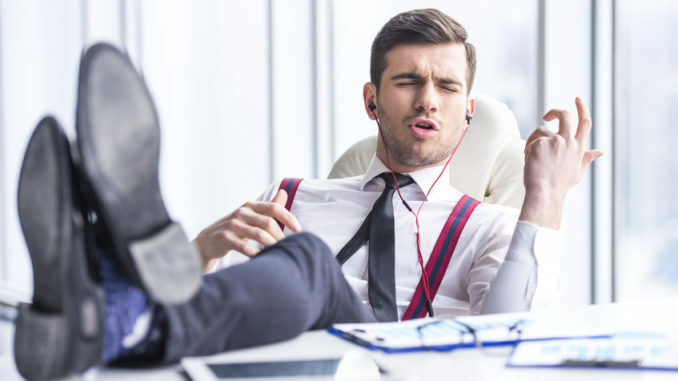 All in all, putting in your headphones and listening to soothing melodies can help you drown out the otherwise distracting sounds that naturally occur around the office. An important thing to keep in mind, though, is that the effectiveness of music on your productivity is directly related to your personal music taste. I have included a Spotify playlist of songs that I, personally, find helpful for productivity, whether it be reading cases for class or writing articles for Das Tor. And there are so many more! The key is finding what works for you!